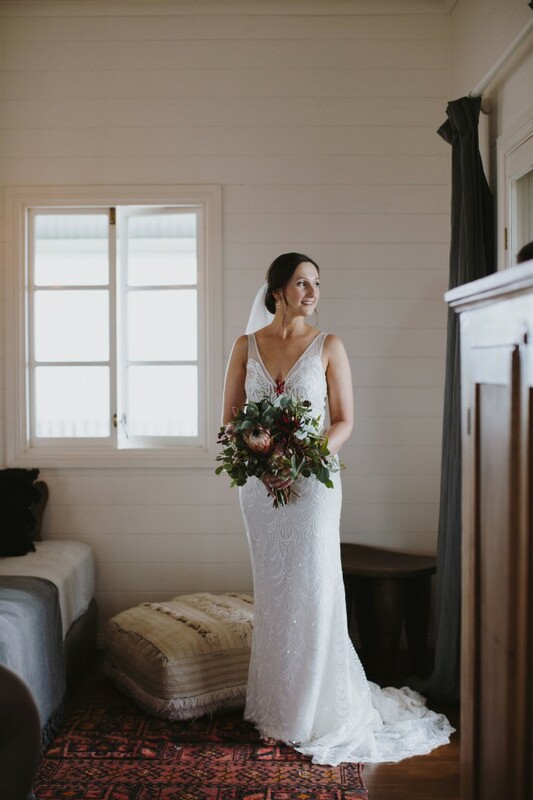 I’m sure by now you’ve trawled Instagram, bridal magazines or whatever your jam and you no longer need convincing on how beautiful the Made With Love Harlie dress is. If you do, check out the MWL website for more information. What I loved about this dress was the blend of comfort, classiness and character. She’s in good condition and was dry-cleaned within two weeks of my wedding by MWL for $250.00. I hope I can find a bride-to-be who will give her another go down the aisle. I am 60kg and 165cm tall. I'm based in Brisbane and happy for you to come and try her on, or can arrange shipping as needed, potentially as low as $17.00 in an Express Post satchel if you are happy with this shipping method. Good luck with your dress shopping and enjoy this special time! Completed by Ella Moda Brisbane, most of these alterations were to take in the bodice of the garment. I estimate this would fit someone who wears a standard size 8 and has a C size bust.